Many a times, government and financial agencies may request a person/organization to present a financial affidavit with his/its personal financial details. This document comprises of all the details of income, expenses, assets and liabilities and it is more of a legal document which binds the person to present authentic information. Using a Agreement Forms makes it easier for a person to come up with such a document as it contains all the important segments and the user just needs to enter the relevant information. 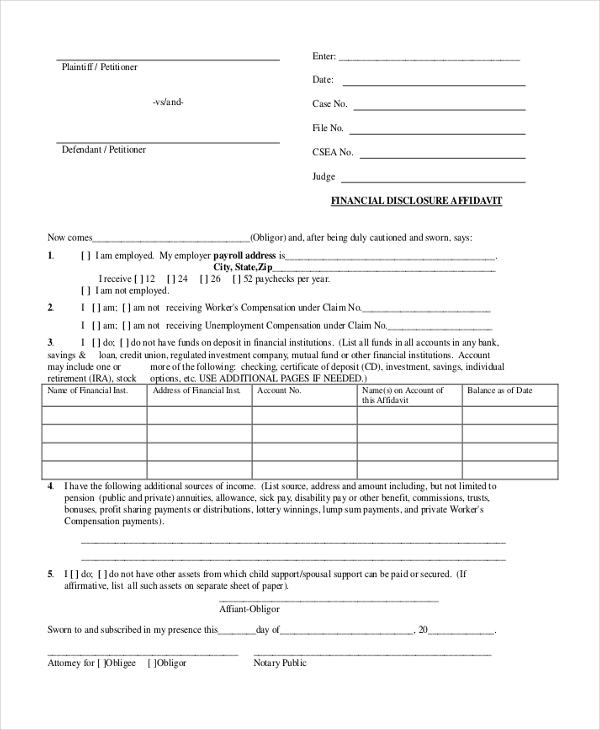 As the name indicates, this financial affidavit form is used by a person who needs to draw a document with the detailed financial information. The form comprises of all the segments that add on to make the income and expenses of a person. When a person is required to present concise information of his financial details, he can make use of this short financial form. The form comprises of the important segments that are required to list the details of his income, expenses, assets and liabilities. A person who needs to disclose his financial position to a government agency or a financial organization and also prove that the information is authentic can use this form. With all the essential subheadings in place, he just needs to fill in the information. 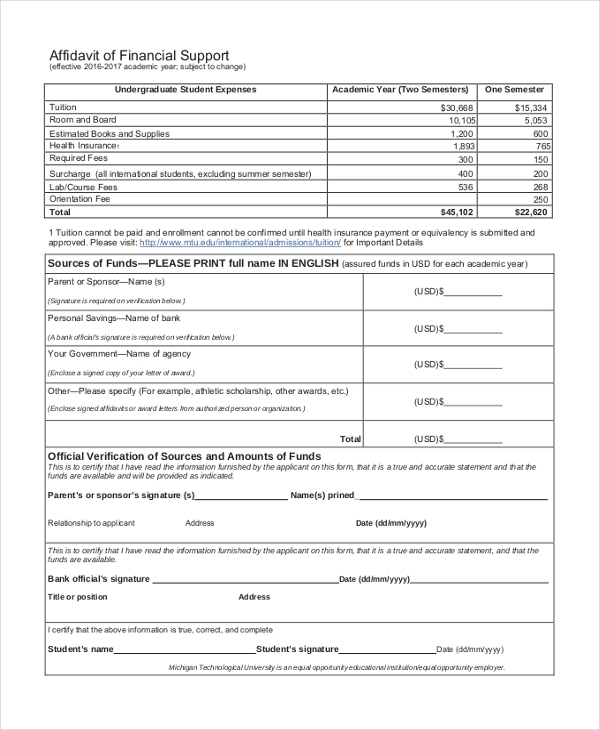 When a person wishes to request for some kind of financial support, he needs to use this affidavit to provide the government with the authentic details of his financial condition. This is required to convince the government to extend financial support to him. A person involved in a family law case may be required to present the court with a financial affidavit. It is in such cases that the aforesaid form is used. It comprises of various segments will ensure that the person shares all the relevant information. 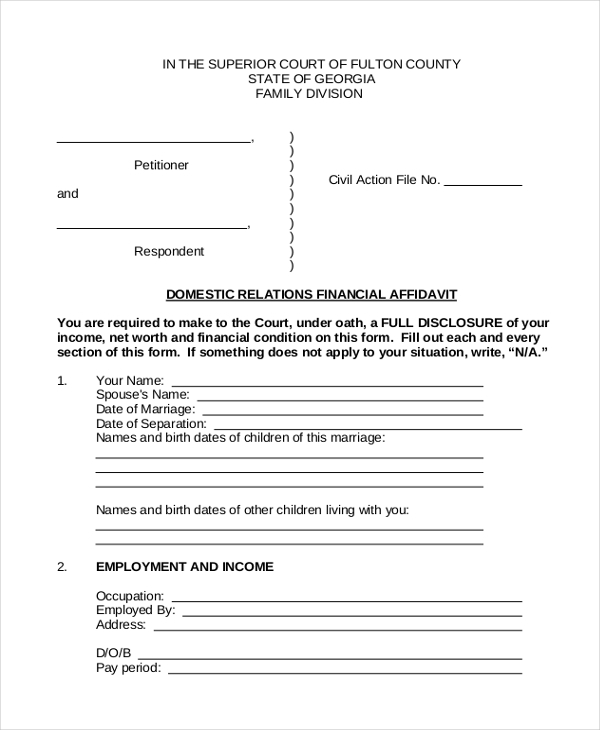 This form can be used by a person to draw an affidavit with the details of his domestic finances. This includes the income of the household, expenses, assets, liabilities etc. The form contains all the segments that are required to draft such an affidavit. 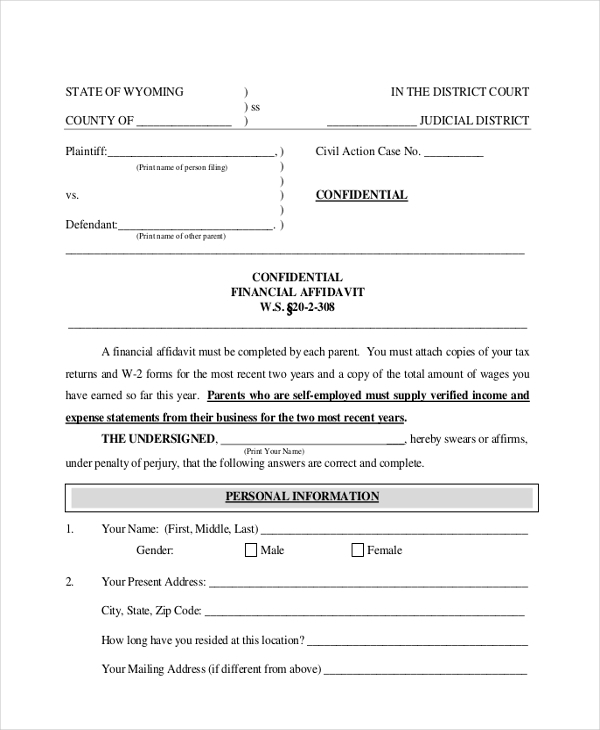 This form is used by the judicial courts to attain the financial information of a person. The person and the law are sworn to secrecy about this information. The form contains various segments that ensure disclosure of all the financial details of the person. As the name indicates, this form is used by universities to acquire the financial details of an international student or that of his family. The form comprises of a number of segments which the student needs to fill in with the relevant information. 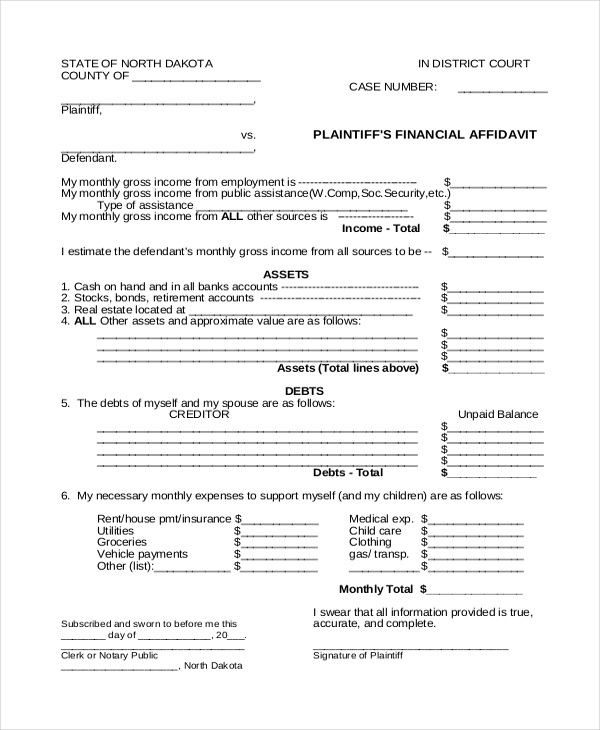 This form is used by the judicial court to attain the financial details of a plaintiff appearing in a case. With all the segments in place, the plaintiff just needs to add in the information and submit the affidavit to the concerned person. 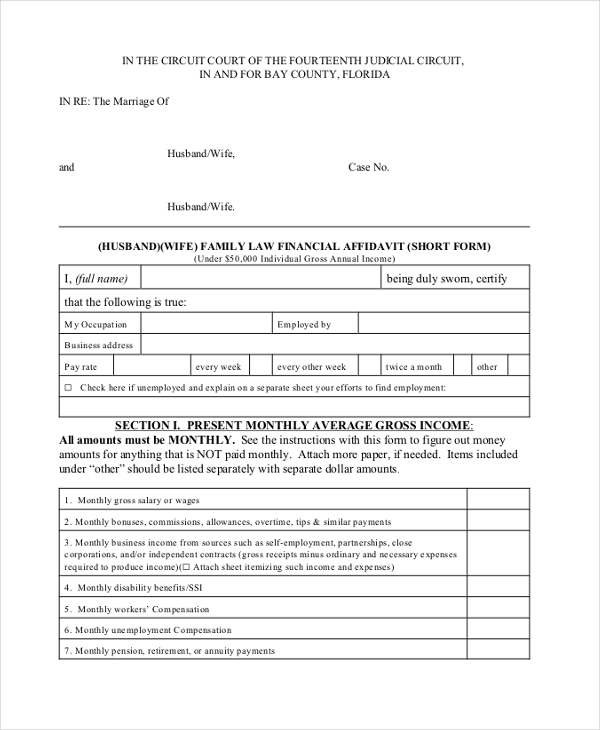 What are the Benefits of Using a Financial Affidavit Forms? 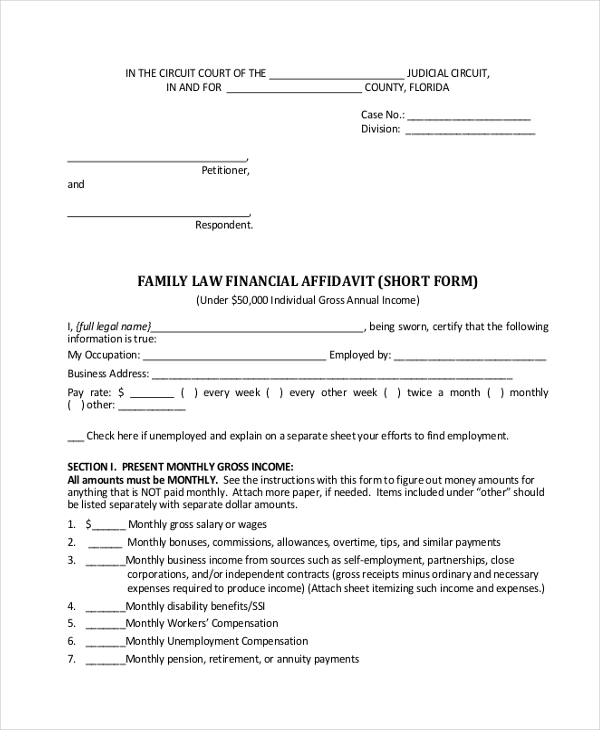 Need some help in drawing a financial affidavit form? Check out our wide range of these forms and choose the one that will be perfect for your need. 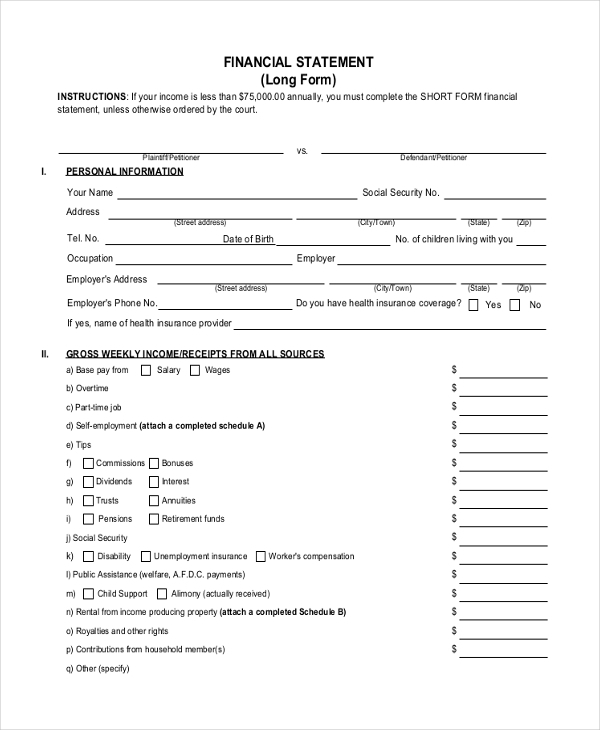 Easy to download and customize, these forms help you save a lot of time. Available in MS Word and PDF format, these forms can be used by all.